HOT: EVERYTHING THAT YOU WANT TO KNOW ABOUT THIS DEBUTANTE BANITA SANDHU IS HERE. 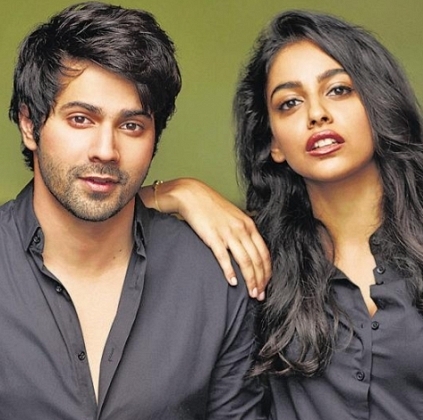 The makers of Bollywood film 'October' announced Banita Sandhu as the pair to Varun Dhawan in the film. Debutante Banita Sandhu is already a popular face among many in the country. Here we say who Banita is and why are fans so eager to witness this chemistry on screen. Banita Sandhu is popular ad model who has featured in several commercials. In fact, director Shoojit Sircar roped in the actress after working with her in one of the commercials in the past. Banita Sandhu has huge followers on her official Twitter and Instagram profile. She is known for model shoots and ad filmmaking. This will the first time that the actress will be shooting for a feature film. Debuting opposite Varun Dhawan is indeed a big start for Banita Sandhu. Talking about her character in the film, director Shoojit Sircar said her role would be impactful, and the director had kept her in mind since the scripting stage of the film. Shoojit also believes that Banita Sandhu will make it big in B-Town. Behindwoods Brings You The Top 10 Songs Of The Week (October 29th - November 04th). Behindwoods Brings You The Top 10 Songs Of The Week (October 23rd - October 28th). People looking for online information on Banita Sandhu, October, Varun Dhawan will find this news story useful.